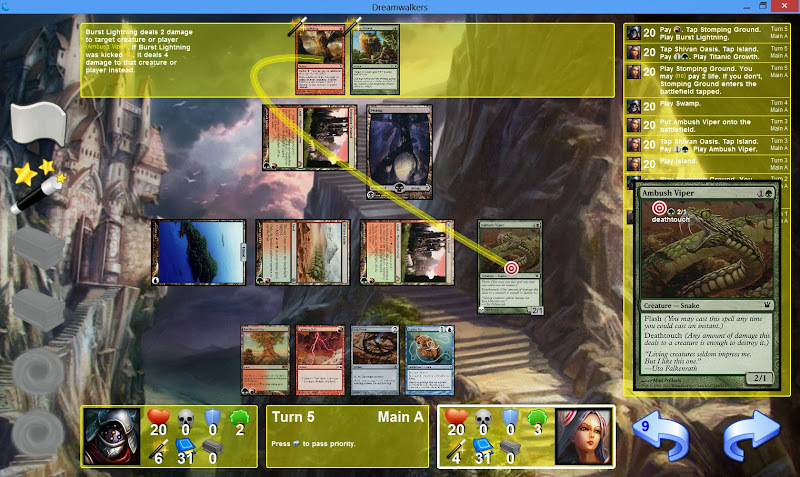 I ported both Dreamwalkers and Magarena 2012 to Android as a challenge and for my own enjoyment. It works and looks very well on the Asus Nexus 7 with the full HD (1920x1080) screen. Android 4.x is required and HD screen resolution or better is recommended. The AI is noticeably slower on the current Android devices than for instance on a Core i7. Also initializing the engine takes a lot more time. But it is certainly playable. The gameplay is basic. You can play random games of Dreamwalkers or Magarena by clicking on their logo. There is also a Java 7 version. It has a higher AI level and is made for keyboard and mouse. You can find more information and help on the project page and feel free to use this thread to post any comments. Here are some screenshots of release 3.2. Made with the Java version on 1680x1050 screen resolution. You have the topic locked for Magarena 2012 so I am posting here,first of all congratulations for having Dreamwalkers and Magarena to Android you make me want to buy an Android device. I don't want to cause a conflict with Magarena fork project and Magarena 2012 but it is a shame that more people can't enjoy Magarena 2012 the way you want it to be and you implement it because they don't know it exists in Dreamwalker forum.I just wanted to tell you for sometime now to put it on the Title of the Forum along with Dreamwalkers with a name maybe like Magarena 2012 Ubfeex's way. Dreamwalkers & Magarena 2012 Ubfeex's way. No matter what you decide to do thanks for both projects.I enjoy them when I find time from my other loves. Edit- question is Magarena 2012 supposed to end the program after it loads the pictures? I unlocked most topics just in case. first of all congratulations for having Dreamwalkers and Magarena to Android you make me want to buy an Android device. 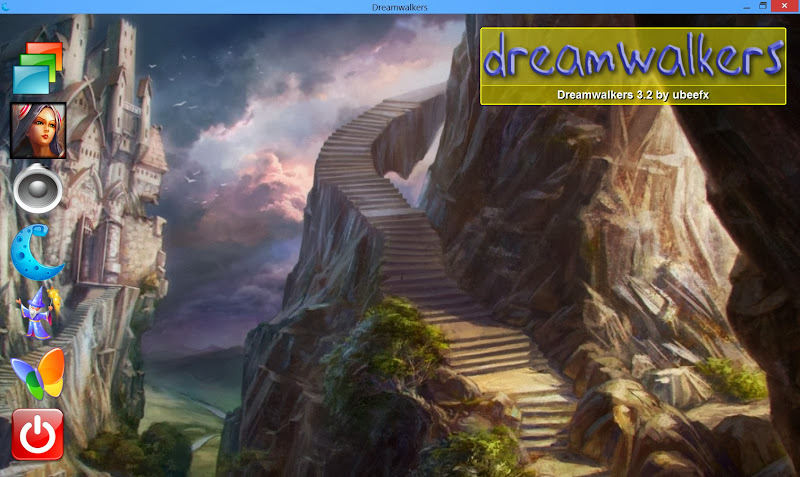 There is also a Java version of Dreamwalkers 3.x available as a download. But I have to say it is very enjoying to play it on my tablet. And there are not that much alternatives right now on Android, or are there? I don't want to cause a conflict with Magarena fork project and Magarena 2012 but it is a shame that more people can't enjoy Magarena 2012 the way you want it to be and you implement it because they don't know it exists in Dreamwalker forum. You have a point. Yes I did not want to confuse people. Melvin is going his own way with the fork. I will see what is possible. Maybe I can make an announcement on the Magarena forum so that people find the way to the Dreamwalkers forum. No matter what you decide to do thanks for both projects. I enjoy them when I find time from my other loves. Yes, it still quits after downloading. Dreamwalkers 3.x no longer has a download function but does this on the fly. I made a new release 3.3. I played several games already so I do find things to improve. Overall it runs pretty stable on Android, but crashes can happen. It is now possible to have a custom themes background folder on Java, see help page. I improved the token card image rendering for Magarena games. A sound is played when a game is started to give feedback because on Android starting a game seems to be slow (might be due to image downloading). Release 3.5 is available. Enjoy. The tree search AI is now shared for Dreamwalkers and Magarena, so there is a timeout mechanism. On the Android version this is necessary because at times the AI was taking a long time. I also noticed that Google code will stop supporting new downloads this month. But the existing downloads will remain available. This is really shameless. At least the name is somewhat different. This game should not be on Google Play. What's up with this? How can someone upload your game like that? I am baffled as well. Only visible differences are the name and instead of going to the project page with the butterfly something called AppGift is shown. Also the Magarena part crashes often for me. Nevertheless this was not intended as a product to put on a store, even free, and certainly not by a third party. 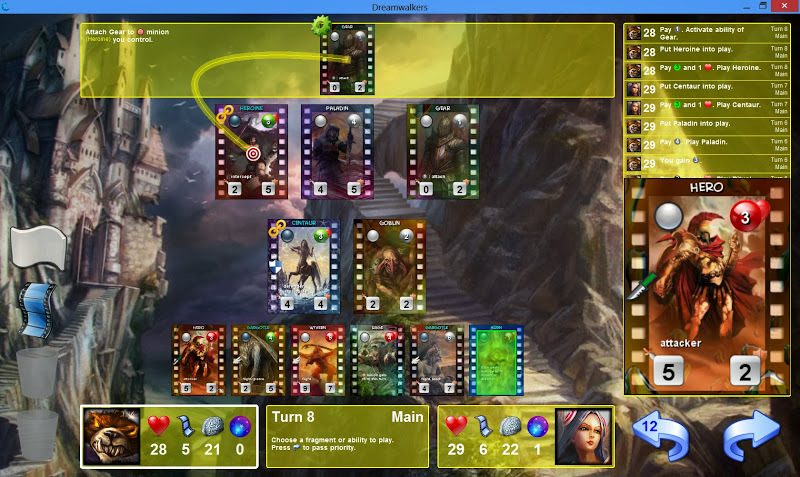 The "Arena Card Game - Dreamwalkers" app is removed from the play store meanwhile. That was certainly not the right way how to treat open source projects. I am no longer working on the Android or iOS version. But they were certainly a very interesting experience for me. I am really glad you made them remove it from there and even more that you continue to work on your 2 excellent programs,thanks man. Thanks, it is still a hobby.